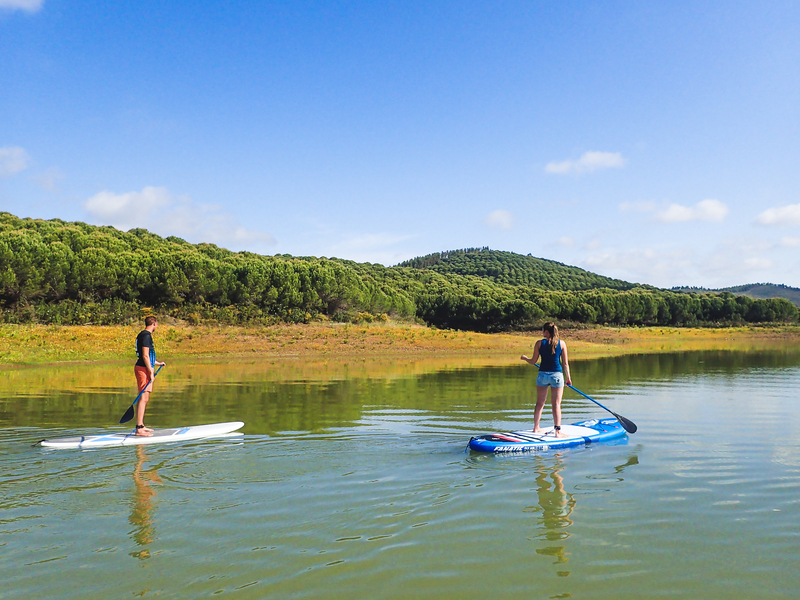 Sup Lagos´ SUP lessons and Tours in the Algarve are like going for a hike along the breathtaking coastline – a hike on the water, that is. 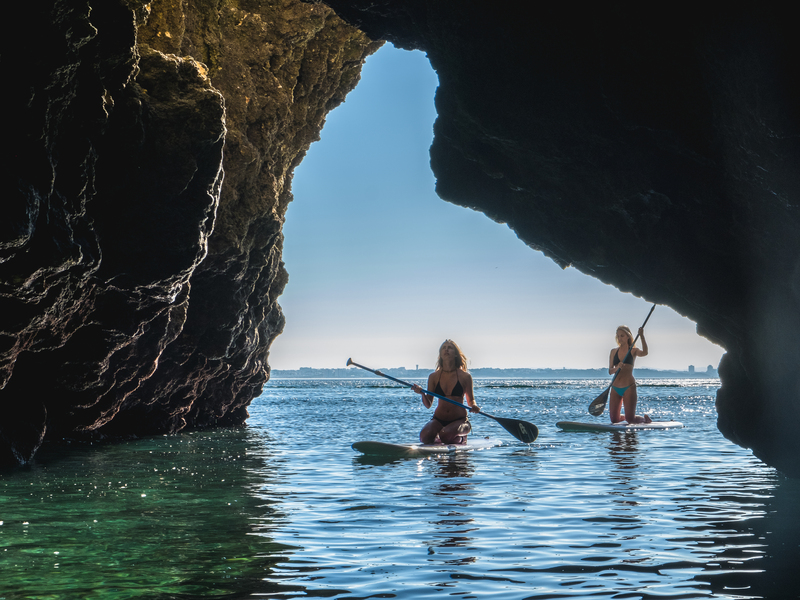 Why walk if you can glide across the crystal clear surface of the ocean with the smooth, flowing elegance of a SUP surfer? 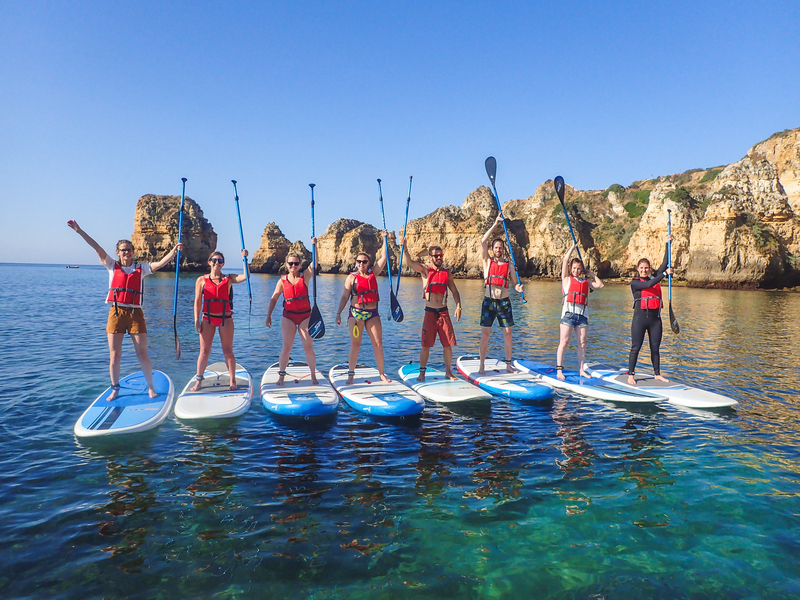 No matter what’s your age, no matter what’s your fitness level: This tour along the pristine coast with its secret beaches and caves will be one of the first things you’ll remember about your vacation in beautiful Lagos! 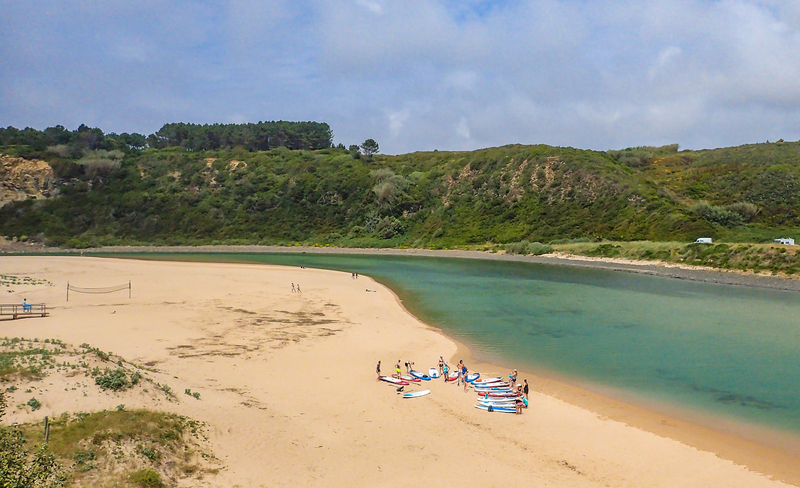 All equipment & wetsuit, if desired. 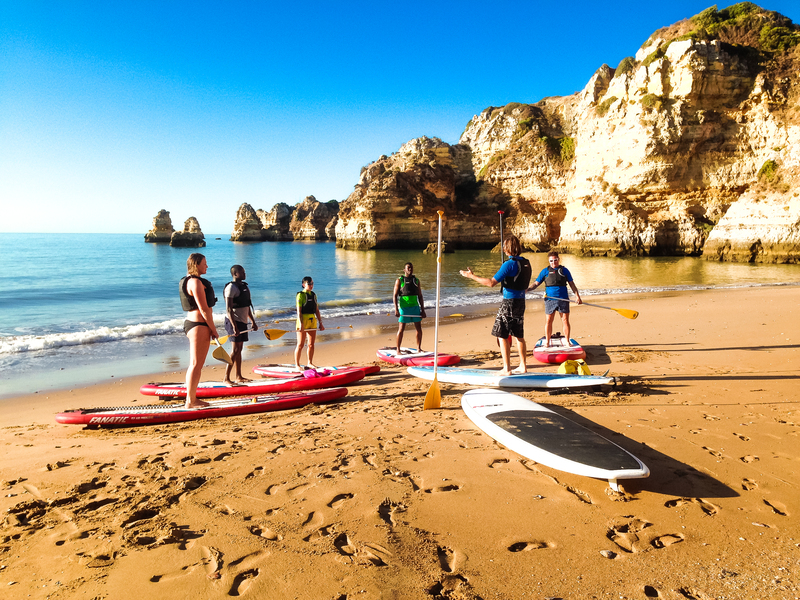 Every day there is a Sunrise Tour starting at 8:00 am in Praia da Batata Lagos. Other Tours start at various times, call for info. 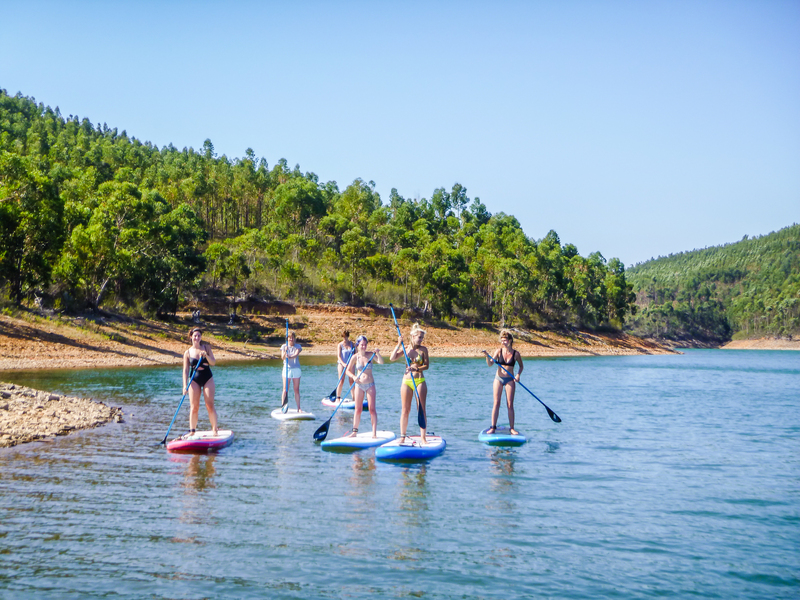 Every day there is a Praia da Batata Sunrise Tour starting at 8:00 am.